After a brief lull, Microsoft’s Surface Phone is back. Redmond’s mythical smartphone is an old feature of the rumor mill. For at least two years, we’ve seen speculation come to light. And then, it stops as other, more established smartphone manufacturers upgrade their offerings. This year things are a little different. A lot of seemingly concrete details have appeared on the rumor mill. These allow us to create a partial picture of what to expect from Microsoft’s end, potentially in 2018. Today, another such patent has ‘surfaced’. Take a look below for details. 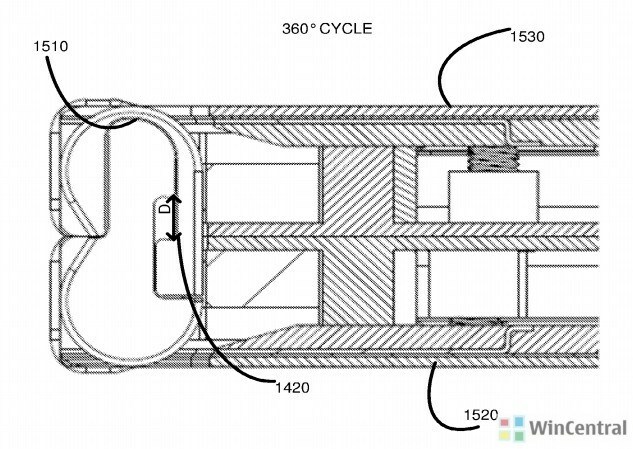 Honestly, the rumors we’re seeing for Microsoft’s Surface Phone are unlike any other. It’s the first time a dual screen is rumored for a flagship mobile gadget. Of course, a lot of this information is based on rumors. So, it’s unwise to reach concrete conclusions. Nevertheless, multiple sources mention these details. 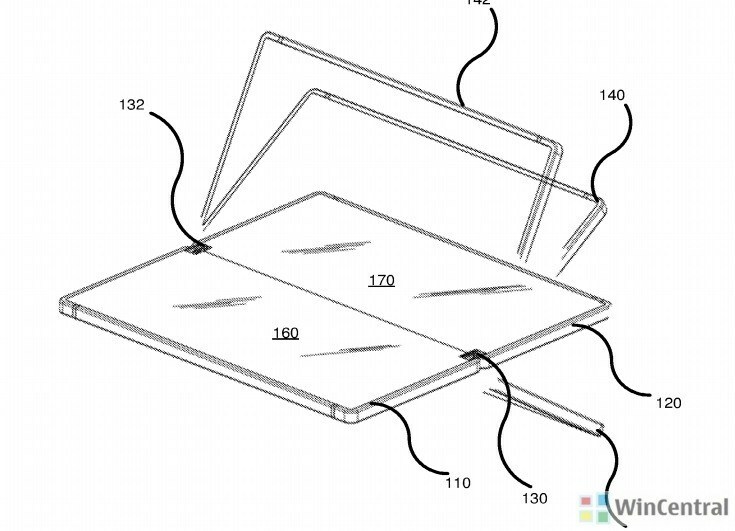 Today’s fresh Microsoft patent shows how the Surface Phone’s dual display might work. 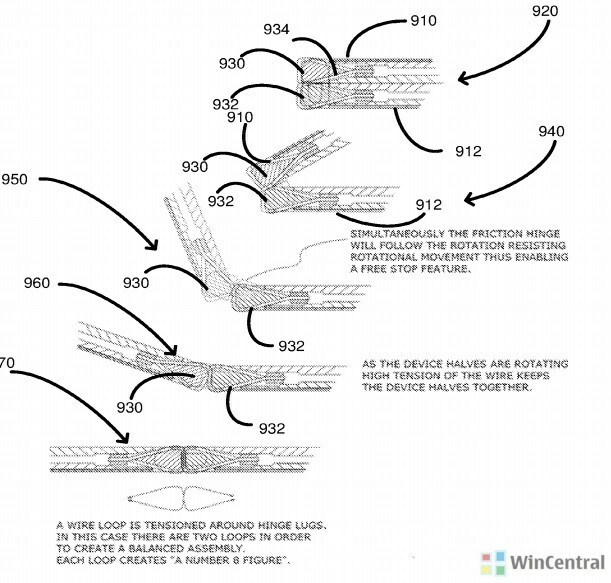 An important revelation in the patent is Microsoft’s reasoning for a dual screen smartphone. The company believes it’s the best compromise between user demand of more display estate and manufacturers’ need to keep overall size as small as possible. This allows the user to make use of more viewing space when required by ‘opening’ up the phone. Afterwards, the displays are put back face to face. In addition, the displays will rotate a full 360 degree. A big question comes to mind when we talk about hinges. While they work perfectly for non-continuous displays, the result for seamless integration for two surfaces isn’t clear. Microsoft’s diagrams make good sense and look to overcome this problem. 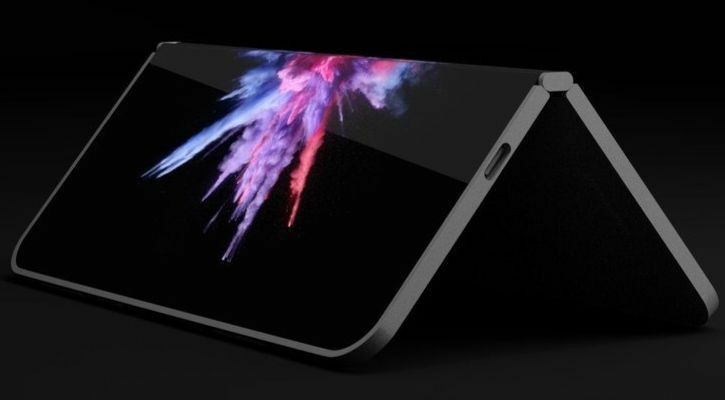 But, will the company manage to ensure that both screens connect seamlessly to each other? After all, users hate any sort of needless material clouding their displays. 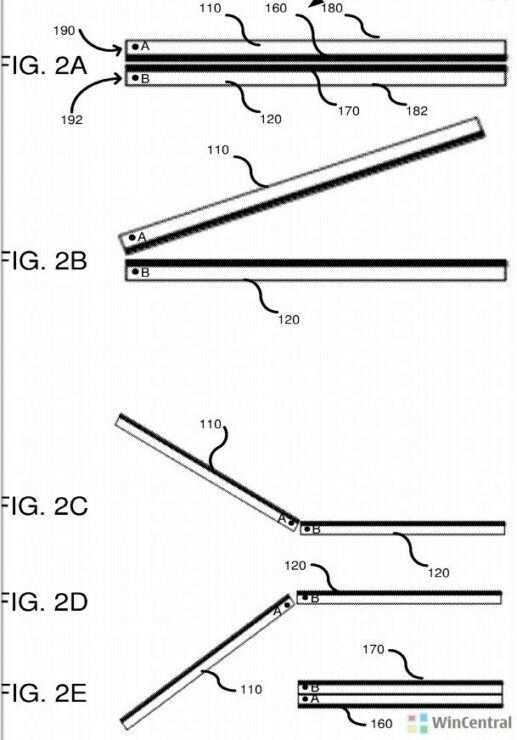 The patent goes on to address potential problems for the hinges, one of which is the display slack mentioned in the preceding paragraph. We’ve got very little concrete leaks for the Surface Phone so far. The only thing guaranteed is that Microsoft is working on such a device. As for its launch, don’t expect anything before H2 2018. Thoughts? Let us know what you think in the comments section below and stay tuned. We’ll keep you updated on the latest.